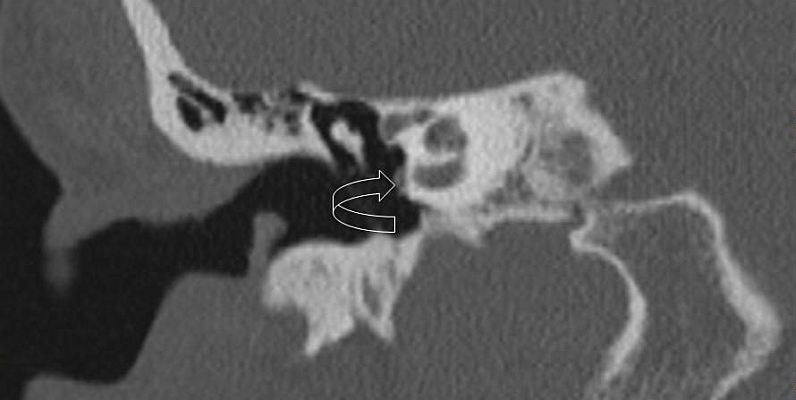 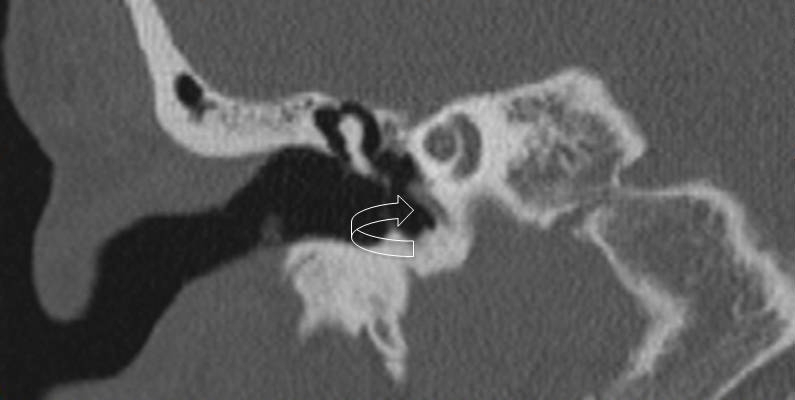 Axial CT scans, bone window (A – D) demonstrate focal lucency along the right lateral aspect of the carotid canal (arrow in A). 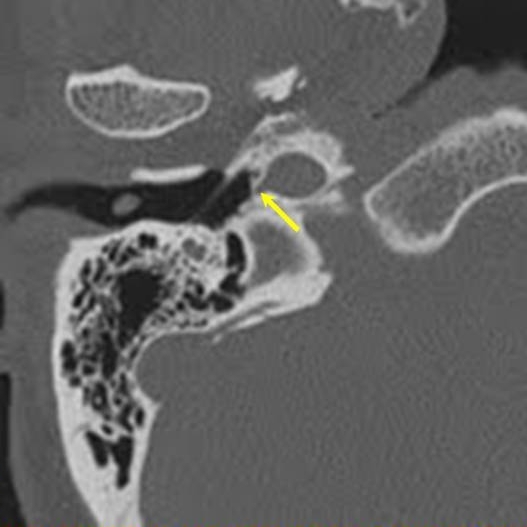 The linear soft tissue (arrows) arising from the focal defect in the carotid canal can be traced along the medial wall of the tympanic cavity as it courses more anteriorly to exit the temporal bone. 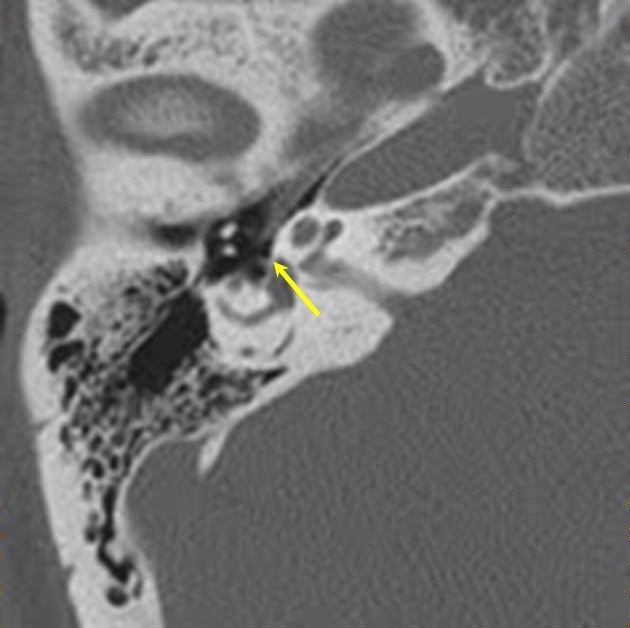 Please note that though the foramen ovale (star in B) is seen, the foramen spinosum is absent. 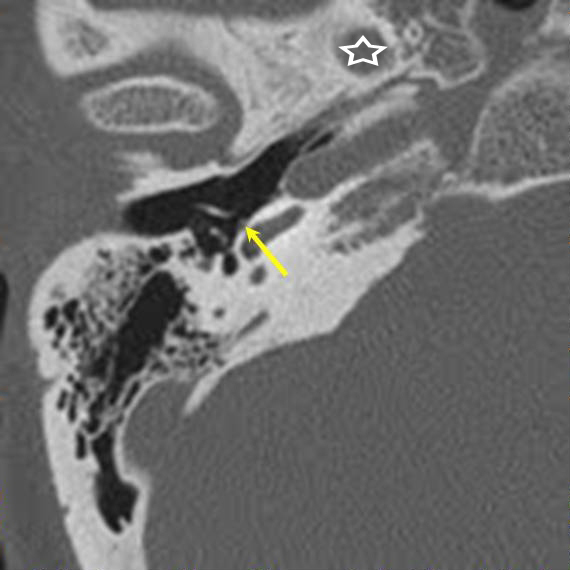 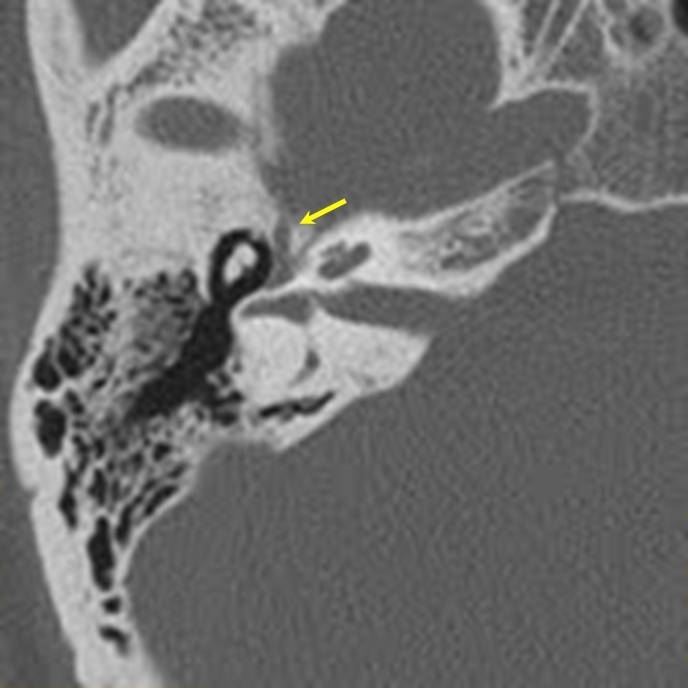 Coronal CT scans, bone window (E, F) better demonstrates the course of the linear soft tissue (curved arrows) along the basal turn of the cochlea – cochlear promontory.